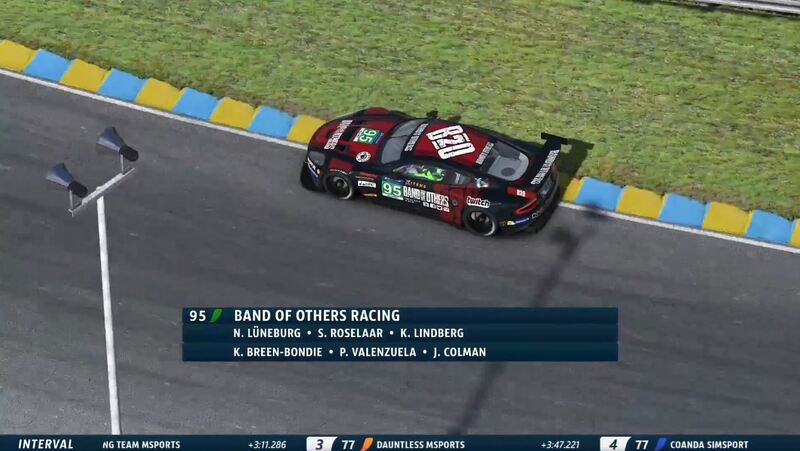 The Band of Others Racing team, after weeks of practice leading up to the Inaugural iRacing 24h of Le Mans, are ready for the historic event. 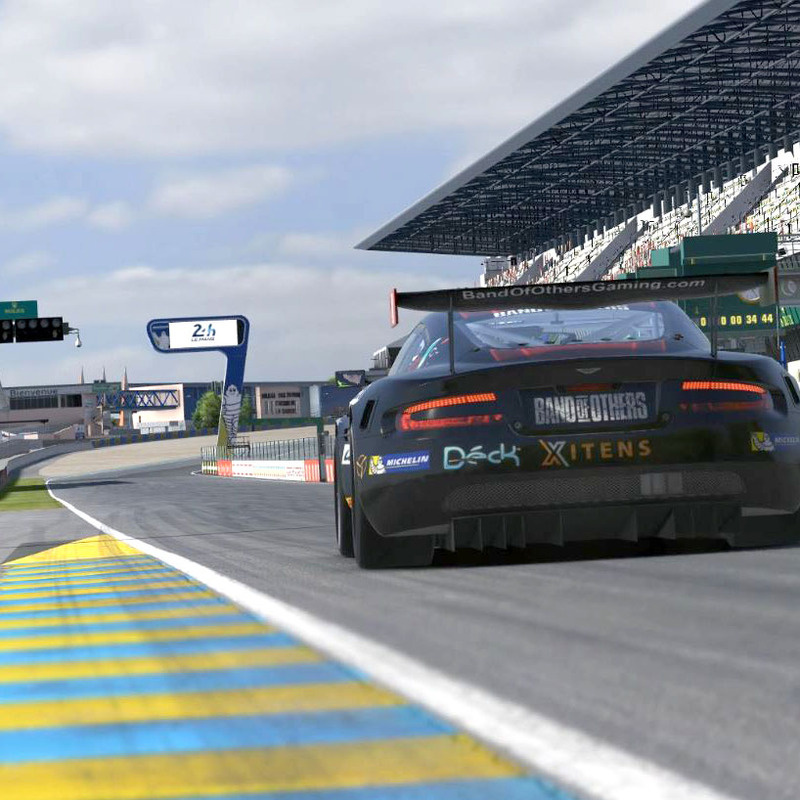 The last endurance event of the year is held at the newest track on the iRacing service, scanned during the 2016 weekend of 24h of Le Mans. 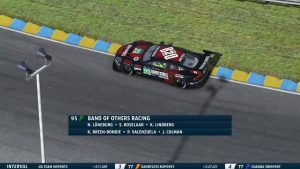 The prestigious 24h of Le Mans is a multi-class event featuring 3 classes with the Band of Others Racing team fielding an Aston Martin DBR9 in the GT1 class. The team consists of six drivers: Noël Lüneburg, Sam Roselaar, Ken Lindberg, Kyle Breen-Bondie, Pablo Valenzuala and Jes Colman. Two drivers, Roselaar and Valenzuala, making their first Band of Other Endurance debut, look to add depth to the experienced driver lineup. The full lineup of six drivers hail from four different countries: the Netherlands, Canada, the United States and Chile. The spread of time zones makes scheduling easier, as Europeans are able to drive in the morning / early afternoon while it is in the dead of night for eastern and pacific time zones, half a world away. 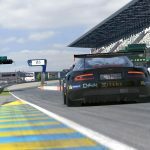 Driving the Aston Martin DBR9, the team’s entry into the GT1 class, will race alongside the Corvettes which are very strong on the long straights. Also racing will be the faster HPD prototypes of the LMP2 class and the slower GT2 class of the Ford GT which will be sure to create plenty of traffic throughout the event. 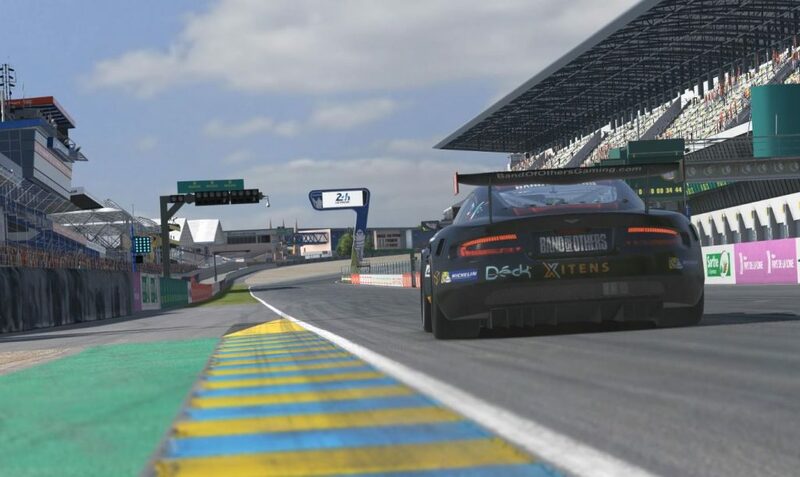 Taking place at iRacing’s most recent addition to the service, Circuit de la Sarthe, better known as Circuit des 24 Heures du Mans, it is perhaps the most meticulously detailed rendition of the track and aims captures every facet of the famed event. Scanned during the 2016 race weekend because the track is mostly public roads the rest of the year, the scan recreates the most celebrated racing event in history with much success. The 38-turn, 13.6 KM track has some of the fiercest corners and longest straights of any track, making for a true test of man of machine that is unmatched in motorsports. Tune in to the Band of Others twitch stream to watch the entirety of the race: www.twitch.tv/bandofothers which starts at 930 EDT. Catch post-race highlights on Daunt’s youtube channel here: https://www.youtube.com/channel/UCz0swC8YvxUC8cIx9UoVuYg . Pop in and say hello and cheer us on!